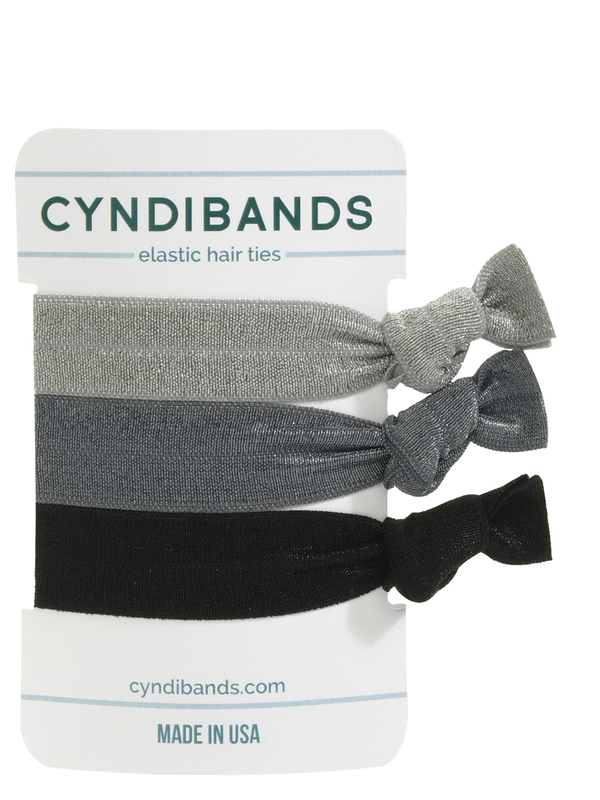 Brooklyn set of grey and black hair ties. This set is popular for its simplicity. 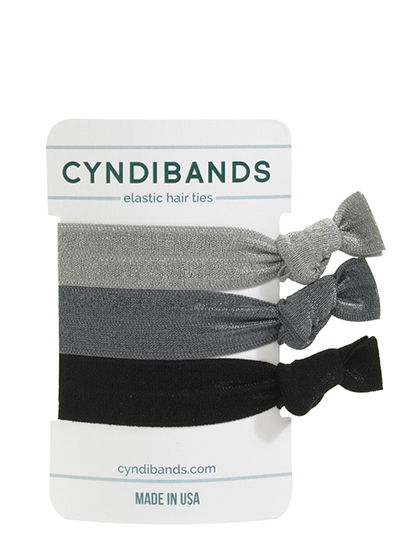 Wear one in your hair or on you wrist for a stylish look. colors: dark silver, charcoal, black.